Most internet-based petitions achieve nothing. Emails with thousands of names in them do not impress anyone, as these can be easily faked. For this reason, we ignore most requests to become involved in petitions. However, when we were invited by some friends (Dave Rastovich, Howie Cooke, Hannah Fraser) to join them in a visual protest, a vast collection of photographs of people holding images of dolphins or whales, to be sent to the delegates at the next International Whaling Commission meeting in Peru, we felt that this could be important. We are alerting all of you who read this to visit the website www.mindsinthewater.com and to link to the Visual Petition. Follow the instructions, download a dolphin or whale picture and take a photo of yourself holding the picture. Then upload the photo back onto the Visual Petition site and join thousands of others who believe as we do, that all whaling and killing of dolphins must stop. Take the time, do what is asked, and you will have done something that can make a difference for the Cetacean Nation. Besides, it is fun! Hannah "Mermaid" Fraser and her husband Dave Rastovich have visited us several times here in Coffs Harbour to swim with the dolphins. They are interviewed in our TV program "The Dolphin People", and if you watch the slides on the Minds in the Water site, or the Visual Petition site, you will see the photo above of Dave with Calamity, hugging her. If you get a chance to see Dave and his surfer friends performing their music, with their band "Low Pressure Sound System", make sure to go. You won't be sorry, they are fantastic! 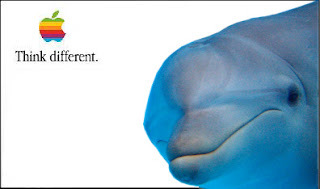 We are dedicated to enabling improved contact between humans and cetaceans. While we recognise the challenges this embodies, we know that there is extraordinary value for both humans and cetaceans in sharing time together. With nearly 30 years of interaction experience, we have come to know that dolphins and whales are not Others, but are significant Others, beings with whom we have an undeniable shared destiny. We seek to further this connection, and do as our friend Dr. John Lilly, MD, asked us to do, to serve as Ambassadors. We live on an organic, permaculture-designed, property in an energy efficient home. We garden, keep bees, ducks and chooks, foster wildlife, write, do research, and produce educational events.